Spring’s here and that means travellers are busy planning their summer itineraries—an exciting step of any trip! If you’re planning to travel and rent a car, make sure you’re en route to a relaxing road trip by knowing the advantages and disadvantages of travel car rental before you drive off. Car rental on any vacation can be a real head scratcher, especially if you aren’t adequately prepared. Whether you’re staying in your home province, crossing the border or flying off to tour Europe, these tips will help you take on travel car rental with ease! The biggest advantage of renting a car while travelling is having the freedom to pick up and leave whenever you like, without depending on public transit. Some of the disadvantages, like rush hour traffic in urban zones, trouble finding parking and the common dangers of the road can affect your experience. It’s crucial to be aware of these before you drive off to avoid any hiccups! 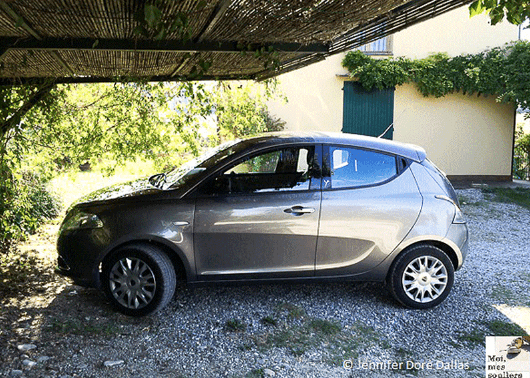 The very economical car I rented in Italy: tiny but very practical! GPS rental, parking fees, parking metres, etc. Drivers aged 25 or younger will often pay additional costs. If you’re adding a secondary driver, you will need to declare it when making your reservation. Remember to check that you can take the car to the countries on your itinerary, and if you’re planning to cross any borders, take your International Driving Permit along for the ride. When signing the rental contract, check the specifications. Is it an automatic or manual transmission, and is it what you asked for? Is the vehicle the right category and size? How many kilometers are included? Do you like to print out maps before you leave, or bring your GPS to save a few dollars? If you plan to borrow a GPS from the rental car company, make sure that it’s included in the rental—it could cost you more than expected if you wait until you pick up the car to ask for one. To better find your way through the torturous streets of medieval Europe and avoiding losing precious travel time, take note of the distances and your destinations’ addresses in a log book, even if you have technology or smart devices with you. These notes might come in handy if your battery dies! Locate public parking in advance for the cities you’ll be visiting, and do some research to familiarize yourself with the local signage and rules of the road. 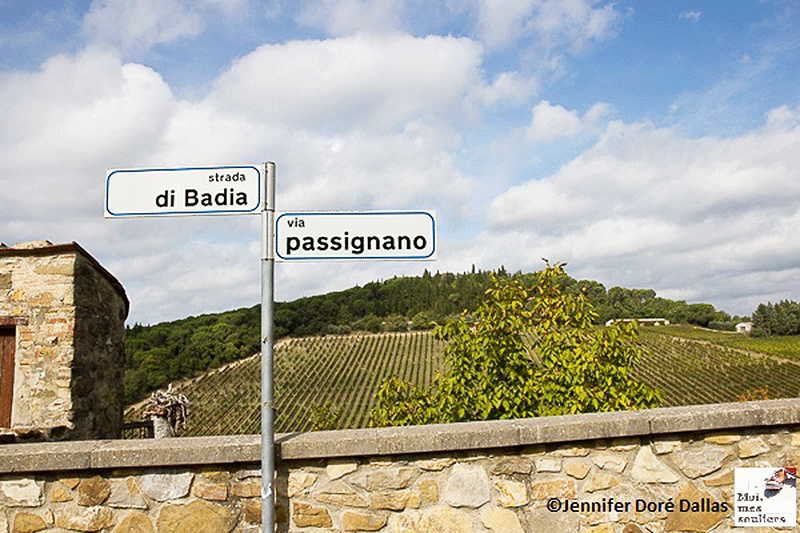 Sometimes directions in Italy can be a challenge! Did you know that the insurance offered by most rental car companies doesn’t include flat tires, windshield damage, broken glass on rear or side view mirrors, broken windows or theft from the vehicle? After all, these are the most common problems! It’s not easy choosing the right insurance for travel rental cars, but it’s essential to analyze the different options to ensure you’re well protected. Certain credit cards offer rental car insurance, but the exclusions are usually limiting and the deductibles high. Same goes for your home or renters’ insurance. It’s important to carefully read your policy wording so you can travel with peace of mind. If you get into an accident on your trip, several types of insurance will play a part; emergency medical insurance is a must to cover you, the traveller, and car rental insurance, like the one offered by TuGo, will cover damages to the rental vehicle. When they give you the keys to your rental car in a foreign country, it’s common to be asked to put a security deposit on your credit card. Take photos of the car from several angles as proof of its condition in case you need this later. Inspect all parts of the vehicle and carefully inspect the body, insisting that any abnormalities be documented on the two copies of the contract before signing. 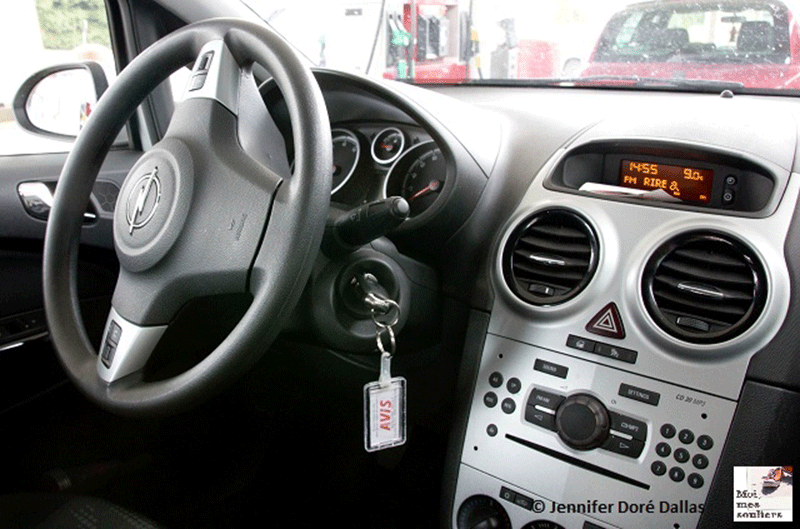 Check that the gas tank is full and ask which type of fuel is recommended for the vehicle. Ask where the closest gas station is if you have to return the car to the same location. If you get into an accident, contact the police right away. Stay at the scene. Don’t discuss the accident before the police arrive. Take the contact details of the driver and the owner (if different), the vehicle make, model, year, license plate and the name of the other party’s insurance company. If there are witnesses, take down their contact info too, and take photos of any damage as well as the physical placement of the vehicles. The police will give you a report that you can give to your auto insurer, who will explain what to do to make a claim. If you’re injured, call for help right away, and then call your travel medical insurer. Of course, no one wants to have to use these services, but by being aware of the traps to dodge when renting a car for your next trip, you can avoid many misadventures! That means making more beautiful travel memories with your friends and family. 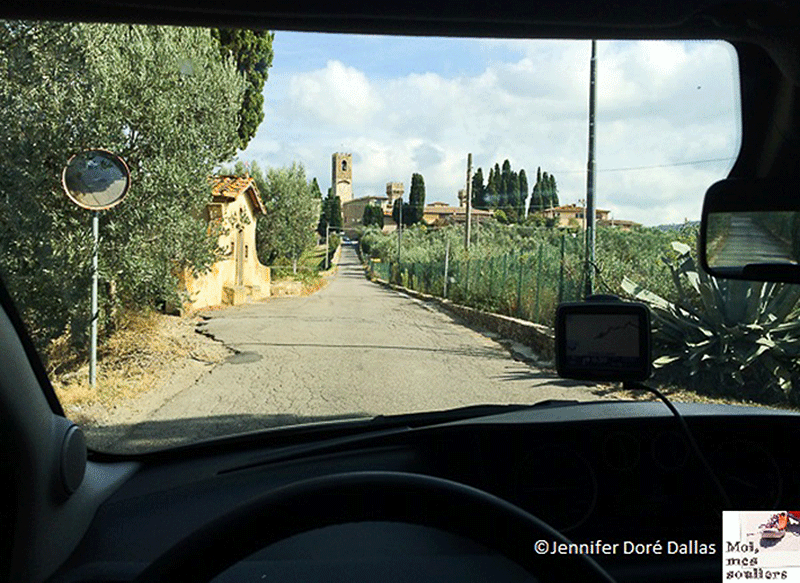 Happy travels and happy car rentals! Cross-Border Shopping – How Much Can I Bring Back to Canada?